Ryanair is Europe’s Number 1 airline, carrying over 131m customers p.a. 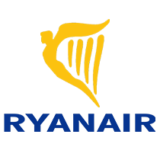 on more than 2,000 daily flights from 86 bases, connecting over 205 destinations in 33 countries on a fleet of 430 Boeing 737 aircraft, with a further 240 Boeing 737’s on order, which will enable Ryanair to lower fares and grow traffic to 200m customers p.a. by FY24. Ryanair has a team of more than 13,000 highly skilled aviation professionals delivering Europe’s No.1 on-time performance, and an industry leading 32-year safety record. In 2017, we became the first European airline to have carried over 1 billion customers.